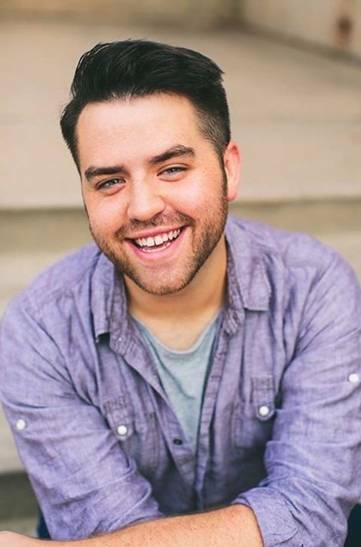 SAN JOSE, CA – Looking at, the young, 6 feet 3’’ ex-Nebraska alum SAM HARTLEY, it is almost impossible to believe that this handsome Actor/Baritone could play the role of “The Beast” in the 2016 touring version of DISNEY’s Broadway’s musical “Beauty and the Beast.” but “the Magic of Disney”, as he calls his costume, makes it possible when it transforms his appearance. After getting the role, HARTLEY tells us that to be able to play it convincingly, he had to spent time analyzing the psyche of his character. 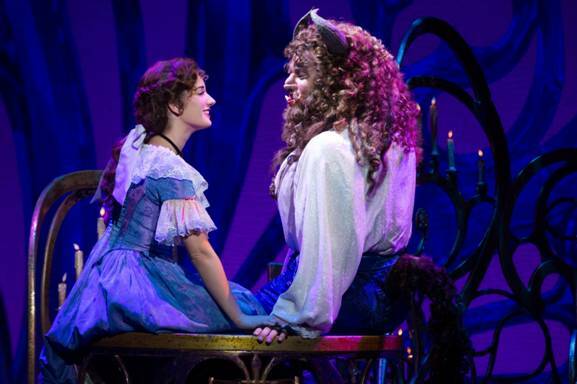 In the story, the “Beast” was once a handsome prince that was transformed into an animal by a Sorceress. Since his transformation, this young man/beast still living in his castle, is waiting to die. The reason is that the day he was transformed into a monster, the Sorceress gave him a vase containing a single rose that loses petals every day. She told him that he will die, when the last petal of the rose is gone and that the only way he could change her curse, will be for him to find a woman who could love him as a beast. We ask HARTLEY how old was he, when he first got acquainted with the story. C.W.B. How did you get the part? C.W.B. After you got the part of the "Beast" how did you approach your character? S.H. “Because the show has been on tour for so long, I was familiar with the design of the show, so as an actor I wanted to challenge myself by telling the story of the Beast physically. I am about 6 foot three and when I put on“the Disney Magic” (as he calls his costume) I am six feet seven, so I really challenged myself to use my entire body to show (the Beast) expressions: happiness, sadness. and how to show them , with my body. C.W.B. You seem to understand how and why the Beast feels and act as he does, but as an actor, how do you represent his psychological side? S.H. As an actor, (to represent the beast feelings) I had to embrace the times in my life when I was picked on and remember the anger that you felt when people makes you feel like an outsider. When I was teased, the embarrassment I felt about that. At the beginning of the movie, the show and the book, the Beast is referred as a “young prince”, so I played the Beast as an adolescent who is facing all this “new” emotion: learning how to love, for the first time. It is scary for him, but it is also exciting, and nerve-racking. C.W.B. What is for you the most difficult part of the role? C.W.B. In playing your relationship with Belle what was your difficulty? C.W.B. You have described beautifully two of the characters of the musical, But there is another character, Gaston, what can you tell us about him? 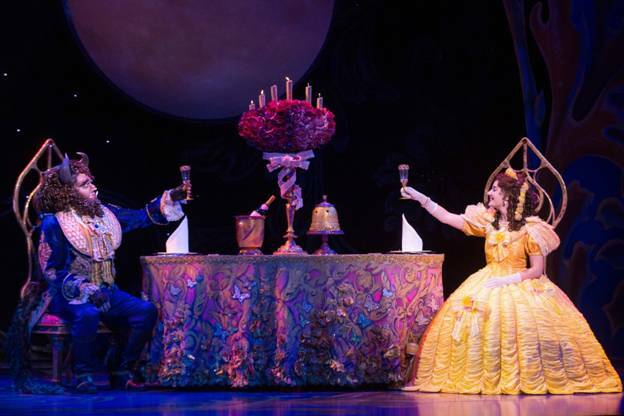 Beauty and the Beast will be shown from April 1st to April 3rd at the SAN JOSE CENTER FOR THE PERFORMING ARTS in San Jose. Tickets for the production can be purchased through Ticketmaster.com, in person at the City National Civic Centre Box Office, 150 San Carlos St. San Jose or by calling 1-800- 982 ARTS (1-800-982-2787).